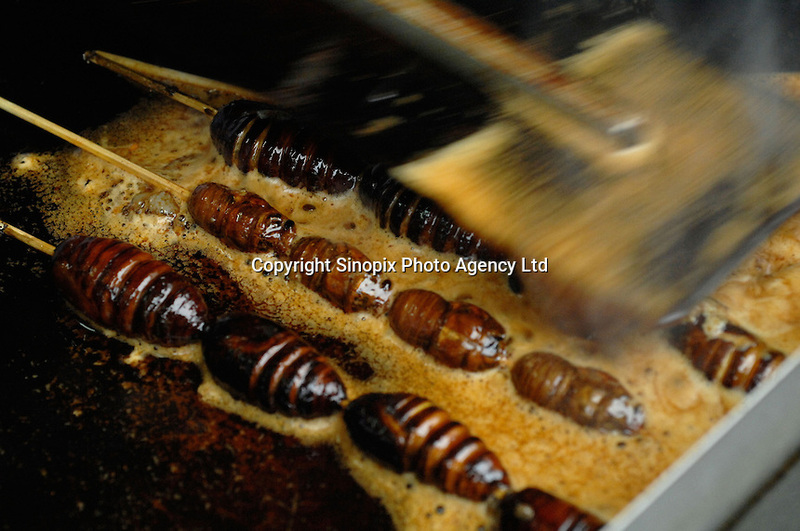 Scorpions, cicadas and silk worm larvae are cooked at Wangfujing snack street in the center of Beijing. They are fried and eaten dipped in spice. Wangfujing is the main and most popular shoppping street in Beijing.